Mazda CX-3 is the creation of Kodo, Soul Of Motion design. Kodo is inspired by the instant energy burst into motion. It’s the powerful grace of an animal pouncing, or human leaping into action. 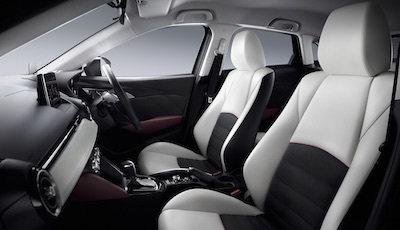 It’s not just the dynamic exterior that impresses, Mazda CX-3’s cabin is crafted to feel special and equipped to give you an edge. 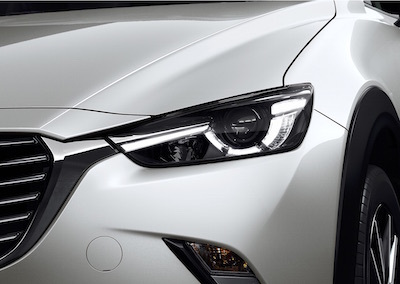 Controls and readouts are carefully placed to help your focus stay on the road. Clean lines wrap around you forming a fresh, modern space. Each model blends inviting trim and materials using metallic highlights and detail to elegant effect. MZD connect enables you to stay in touch. Hook up a compatible smartphone to access your music and contacts, plus online content from Facebook to Twitter feeds and more. 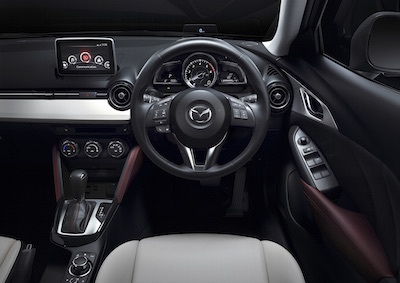 Everything centres on the 7-inch touchscreen placed for improved concentration on the road. While the multifunction commander enables control on the move with minimal distraction. 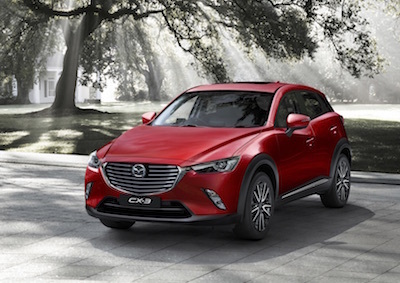 Comfortable, clever and capable, Mazda CX-3 gives you a roomie well-crafted cabin that works with whatever you’re doing. In the boot, a two-way floor hides a handy extra compartment. The rear seats split 60/40, or fold down both to create a large flat space for larger items. 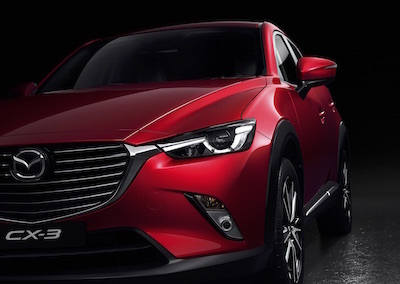 Quick steering, spirited and confident, Mazda CX-3 is liberated by lightweight SKYACTIV technology. Responsive power is delivered with exceptional fuel economy, no matter which engine you choose. A punchy 2.0 litre petrol, or keenly muscular 1.5 litre turbo diesel. Match to a sporty automatic or manual transmission. Front-wheel-drive, or the extra grip of all-wheel-drive, you can take the fun just about anywhere you can imagine. Collision protection is world class thanks to a highly rigid body integrating SRS airbags. A confident grasp on the road is supported by advanced i-Activsense safety technologies. 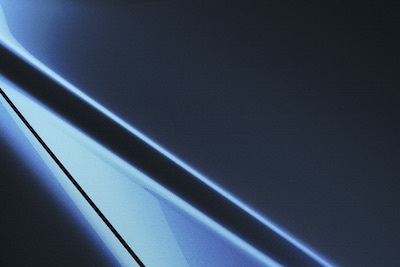 These intelligent systems are designed to help you recognize potential hazards, avoid collisions and minimize the severity of accidents when they can’t be avoided. Using radar, cameras and driver warnings, i-Activsense keeps a careful eye out for you. From in-town action to exploring what’s beyond, it gives you the looks and versatility to move in a whole new way. 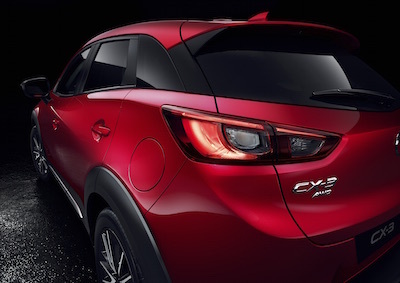 The first-ever Mazda CX-3. Move like never before.